There's only one San Jose sign company to call with your signage needs – Golden Gate Sign Company, Inc. We've been providing San Jose top-notch sign design, fabrication, installation and maintenance services for decades, and our San Jose sign company employs a talented team of signage professionals: Business Development and Design experts who will provide a model that takes your objectives into account, Fabrication experts who will create your signage in our Bay Area warehouse, and Installation experts who will provide maintenance and repair services. Our sign company manufactures a variety of types of interior and exterior signs, including monument signs, banners, channel letter signs, interior signs, flagpoles, post and panel signs pylon signs and much more. Whether you’re in the market for a stand-out interior neon sign, custom illuminated channel letter sign, innovative electronic message center or lightweight aluminum composite sign, we have the products and solutions you need for your perfect commercial signage. See what set us apart from other San Jose sign companies. When you’re in the market for the perfect San Jose sign for your business, rely on the industry experts who can do it all – from signage design to sign fabrication and installation – for your San Jose sign. Our sign company provides the most comprehensive of all sign companies in California. Our Process: Golden Gate Sign Company will design, fabricate and install your indoor or outdoor signage. Sign Types: Our San Jose signs company produces a variety of signage types. Commercial Signs: Showcase your business or commercial property in style with Golden Gate Sign Company's commercial signs. Services: We're not just a design and fabrication sign company - unlike other sign companies, we perform graphic design, logo creation, delivery, file transfer, t-shirt printing and gas station conversion services. Fleet: With the largest and most dynamic fleet in the Bay Area, we can provide sign installation and maintenance virtually anywhere – San Jose signs installed on the tallest buildings in the city. Whether you need our expert designers to create your brand or transition your sign design concept into a tangible blueprint, or even make your exact specifications into the real deal, our sign company has all the elements in place to meet your needs. Rely on our San Jose sign experts to craft the ideal signage to meet your needs – both aesthetic and functional. 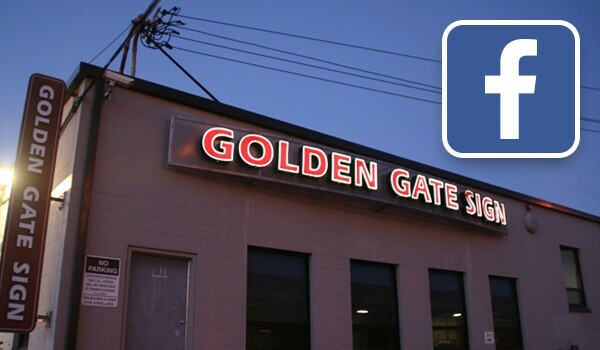 Contact Golden Gate Sign Company today to learn more about San Jose signage offerings and how we can design, fabricate and install your perfect sign or custom display. Fill out our FREE, no-obligation contact form or call our company today.